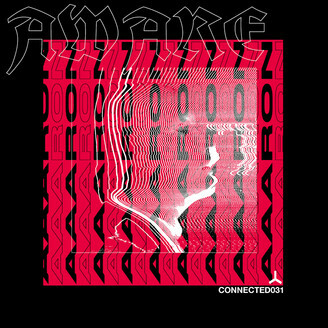 Aaaron’s 4th release on connected and after his recent vocal heavy collaborations he returns with just him and the machines and melodic Techno minimalist smoking intensity. 1.Aware: Consciousness is the state or quality of awareness or of being aware of an external object or something within oneself.It has been defined variously in terms of sentience, awareness ,qualia, subjectivity,the ability to experience or to feel,wakefulness,having a sense of selfhood or soul,the fact that there is something “that it is like” or “be” it,and the executive control system of the mind. Let your thoughts come and go without judgement and just be aware. 2. Janus:Janus is the God of beginings,gates,transitions,time,duality doorways.passages,and endings.He is usually depicted as having two faces,since he looks to the future and to the past. 3.Jive : ‘He says if I kick anything,it’ll falloff.’ ‘I ran into one of your pals,” he said,”a Modern.” ‘Yeah? Which one?” “Lupus Yonderboy.He had a message.” He passed her a papernapkin with WINTERMUTE printed in red feltpen in his neat laborious capitals.”He said—“ But her hand came up in the jive for silence. .